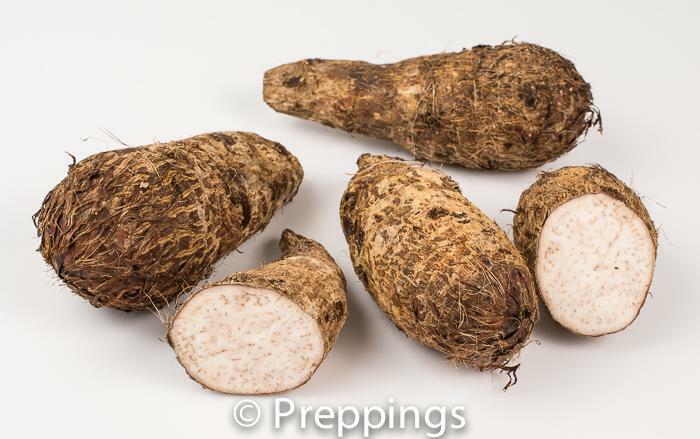 The Malanga Root is a root vegetable with a white and pink interior and can range in size from a golf ball to larger than a baseball. The rough skin needs to be peeled to reveal the flesh that has an earthy-nutty-slightly sweet flavor and starchy texture. They need to be cooked and are used for soup, stew, tempura, and vegetable side dish.